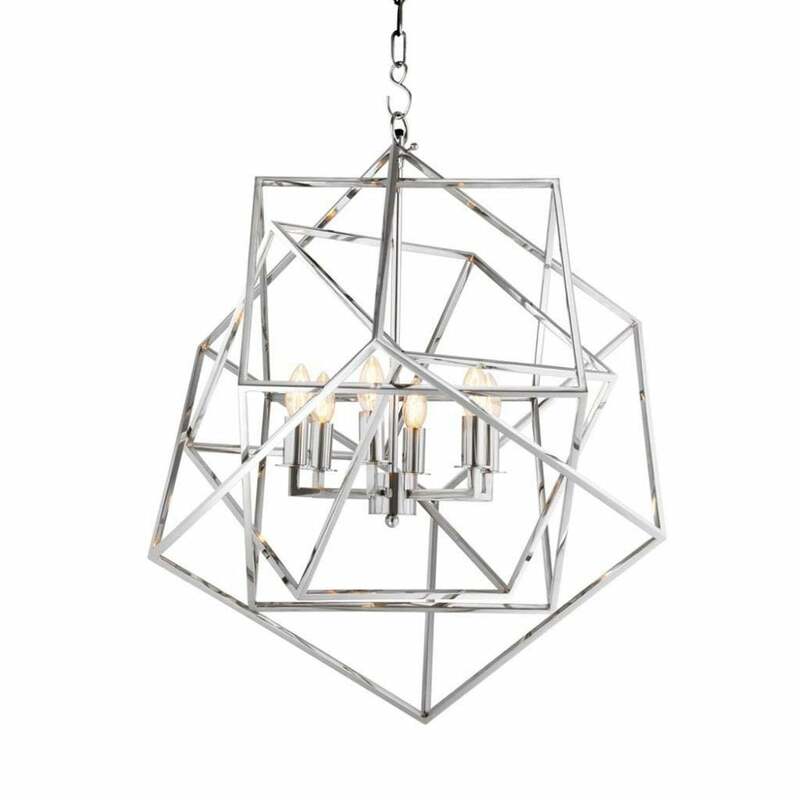 Inspired by the geometric form of the polyhedron, the Matrix Lantern by Eichholtz. Style within a monochrome interior to create a dramatic statement. Featuring six lamp holders, the lantern design successfully combines a traditional style with a contemporary finish. Hang in a group of three in a hallway or living area for a unique display. Also available in a vintage brass hue. Make an enquiry for information.